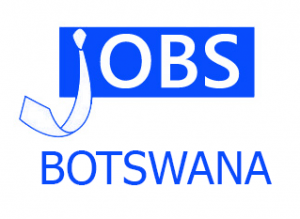 Launch Your Career with Kromberg & Schubert Botswana! The largest harness production company in Southern Africa, with +2000 employees. A company with a presence In over 30 locations globally and is among leading suppliers of electrical wire harness systems to premium car manufacturers. Do you have what it takes to join the leading company? We have an opportunity for you! To be responsible for electrical maintenance of production equipment, to minimize production loss. Strong personal attributes and able to work with little or no supervision. Experience in sectional management of a team an added advantage. Prepare and study technical drawings and specifications of systems to ensure installations and operations conform to standards. Assess and Analysis of parts needed for the process and place orders for those parts. Documentation of spare parts for traceability. Conduct routine maintenance and evaluation on equipment and processes. Ensure good quality workmanship which upholds company standards, including 5S principles. Able to work alone to find faults and concerns In process systems without receiving explicit instructions. Providing technical support, advising other technical support departments. Able to carry out the functions and assist all other maintenance personnel. Provide professional assessments and advice for other workers more especially production personnel. Mandatory compliance with operational health and safety legislation. NB: ONLY SUCCESSFUL APPLICANTS WILL BE RESPONDED TO.